More than 5 million Americans are living with Alzheimer’s disease, the sixth leading cause of death among U.S. adults. This number is expected to grow to 13.8 million by 2050 in the absence of new treatments. Annual cost of healthcare for Alzheimer’s disease and other dementias is $236 billion. Recent scientific developments strongly suggest that neurodegeneration associated with Alzheimer’s disease begins 15-20 years prior to clinical manifestation, and hence an earlier, at presymptomatic stage, diagnosis could lead to more effective treatments to prevent or delay the disease as well as to reduction in long-term care costs. Minimally invasive cost-effective screening and predictive tests are urgently needed. 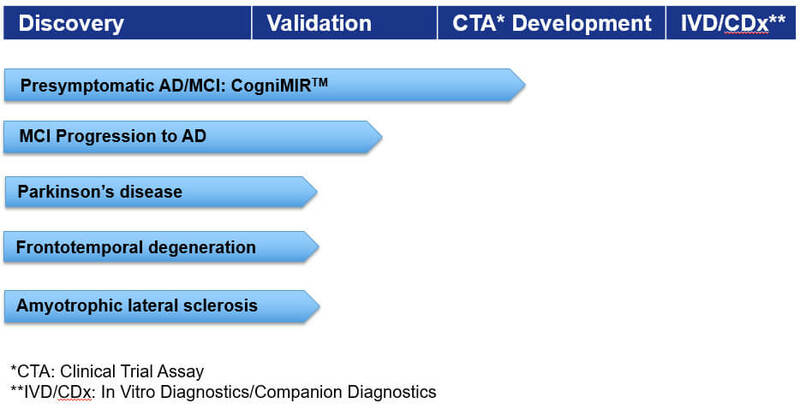 DiamiR is building a comprehensive pipeline of blood-based tests for neurodegenerative diseases. 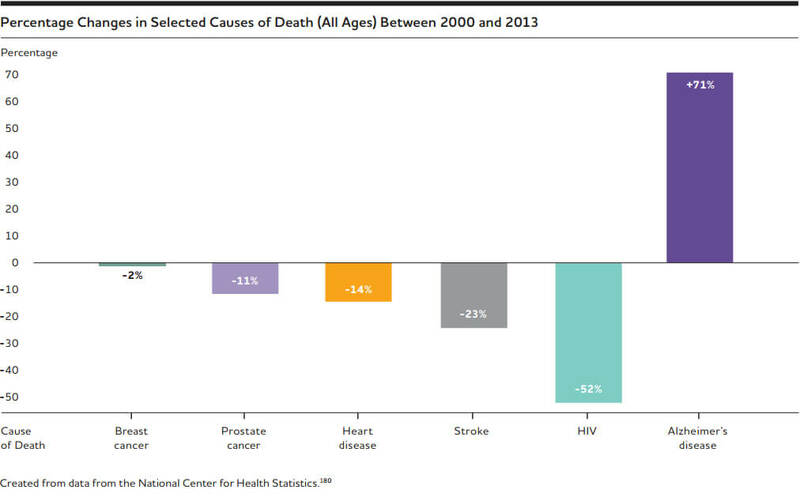 Aging is the most significant risk factor for the vast majority of serious human diseases. Critical for the efforts to delay aging and increase longevity is the development of effective biomarkers of aging. We are developing an assay for monitoring brain aging based on quantitative analysis of brain-enriched and inflammation-associated microRNAs in plasma. The program is conducted in collaboration with the New York Blood Center and is funded in part by a Small Business Innovation Research (SBIR) grant from the National Institute on Aging (NIA) of the National Institutes of Health (NIH). Effective peripheral biomarkers of neurodevelopmental diseases, such as Rett syndrome (RTT) and autism, could facilitate screening of patients eligible for clinical trials of candidate therapeutics and monitoring of response to treatment. Currently, such surrogate biomarkers, which may be predictive of behavioral and pathophysiological changes, are lacking. To investigate the potential of brain-enriched microRNA as biomarkers of RTT, we have conducted initial work in several animal models of RTT. The data generated in these studies suggest that the proposed approach for developing minimally invasive biomarkers of RTT is feasible. We are now conducting a clinical study in collaboration with Tri-State Rett Syndrome Center at Montefiore Medical Center. Early disease detection leads to better clinical outcomes and cost-effective care. It is especially important for cancers and neurological diseases, because progression of these pathologies leads to significant and frequently irreversible changes in underlying pathophysiological processes. We have proposed the development of minimally invasive Universal Screening Test (UST) based on analysis of organ-enriched microRNAs in plasma and other bodily fluids. UST is designed to detect presence of a pathology in particular organ systems, organs, tissues or cell types early on. Once pathology is detected, more specific, invasive and expensive tests can be administered to precisely define the nature of the disease and course of treatment. Organ/tissue/cell-enriched microRNAs detectable in plasma are an optimal class of biomarker candidates for UST. To date, we have conducted proof-of-principle studies on detection of pathologies of three organ systems – gastrointestinal, pulmonary, and neurological.